At times it seems like all of Toronto is sprouting with condos, but this perception stems from the various hub neighbourhoods where the vast majority of the development is taking place. The Lower Yonge St. corridor certainly fits this bill, as does Yorkville and much of the waterfront. 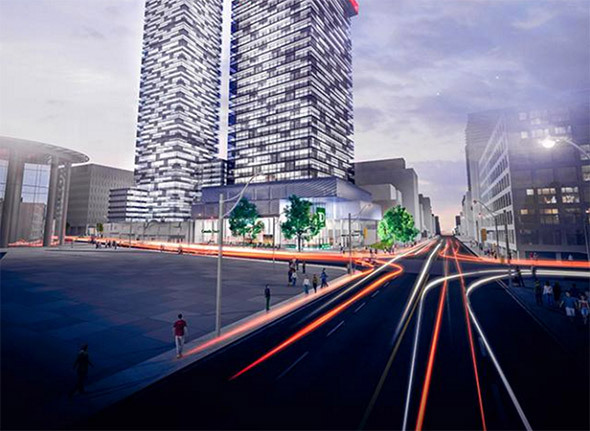 But perhaps the biggest changes are happening at Yonge and Eglinton. With the arrival of the Crosstown LRT scheduled for 2021, the midtown neighbourhood is poised to become the next major transit hub in this city, and development is already well underway to capitalize on this soon-to-come feature of the area. It wasn't so long ago that the Minto towers caused North Toronto residents much angst over the intensification of the neighbourhood. Those who feared the complex would pave the way for further development in the area were obviously right, though it's hard to argue against the suitability of density here. 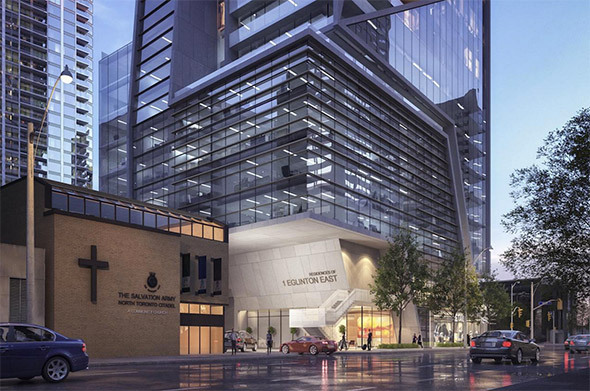 It would be tedious to list all of the developments proposed and under construction in the area surrounding Yonge and Eglinton, but a few highlights should suffice to demonstrate the profound transformation taking place. Perhaps the most significant projects are the ones slated to redefine the intersection itself. 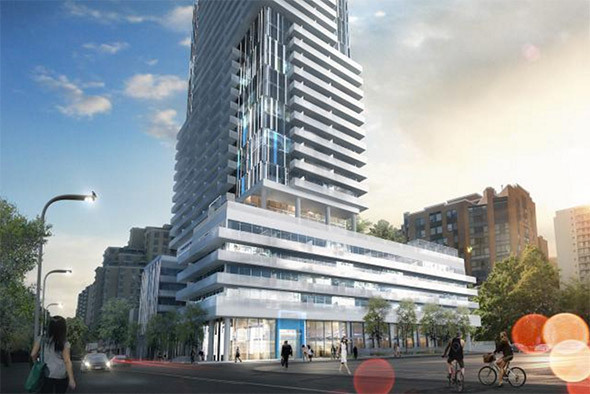 A joint venture between Bazis, Metropia, and RioCan will bring E Condos to the northeast corner of Yonge and Eglinton with two towers of 58 and 38 storeys respectively. Right across the street, Davpart hopes to bring the 65 storey 1 Eglinton East project to the south side of the intersection. The Hariri Pontarini Architects designed building would be the tallest in the area if gets final approval (it's already been scaled back from 68 storeys). 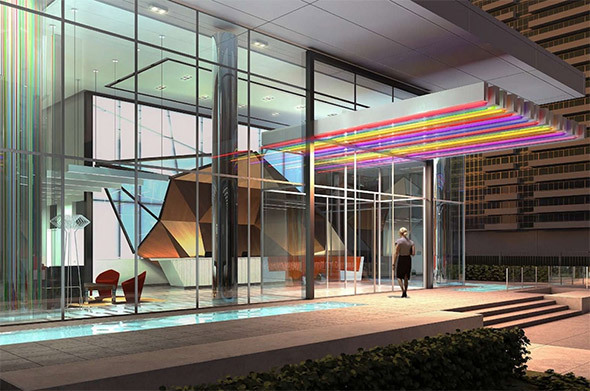 Immediately to the south, Tower Hill Development Corporation have planned the 58 storey 2221 Yonge Condos, which is designed by Pei Partnership Architects and Quadrangle Architects in a tribute to the modernism of I.M. Pei. The renderings don't do this one due justice. It promises to be a smart-looking condo that departs from the glass box aesthetics we're so used to. Another project that promises to impress visually is the Art Shoppe Condos, the exterior of which is designed by architectsAlliance. It's the interior that's created all the buzz, though, as Karl Lagerfeld has signed on to design the lobby spaces, which will be easily visible from the street. Looping around to Redpath, the well-liked 155 Redpath development will get its sister tower at 150. 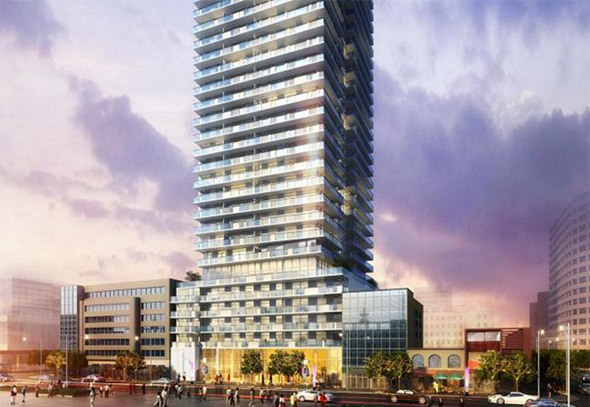 The architectsAlliance project is slated to come in at 38 storeys and will have a significant impact on the streetscape of Eglinton east of Yonge St. 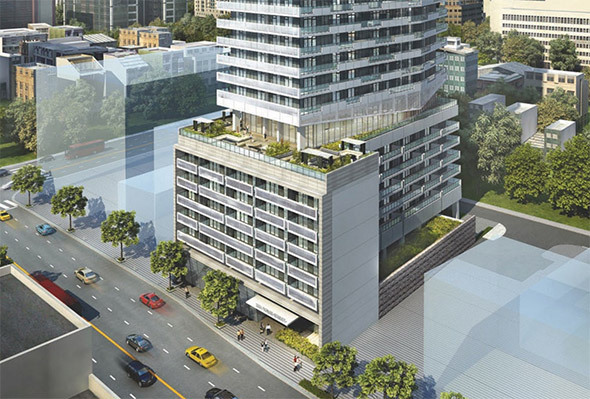 Joining it is Menkes' The Eglinton at 161 Eglinton Avenue East. It's a bit more conventional design-wise, but should inject some much needed retail to the this stretch of the street, which has always been a bit on the dreary side. Moving back toward Yonge is 55 Eglinton Avenue East, which looks vibrant at street level before swooping up as a 47 storey (proposed) tower. Almost next door is The Madison, a two tower project that's nearing completion at 36 and 33 storeys. Between these developments, the corridor of Eglinton between Yonge and Mount Pleasant will look entirely different in a half decade. The development is also heavy to the north of Yonge and Eglinton. 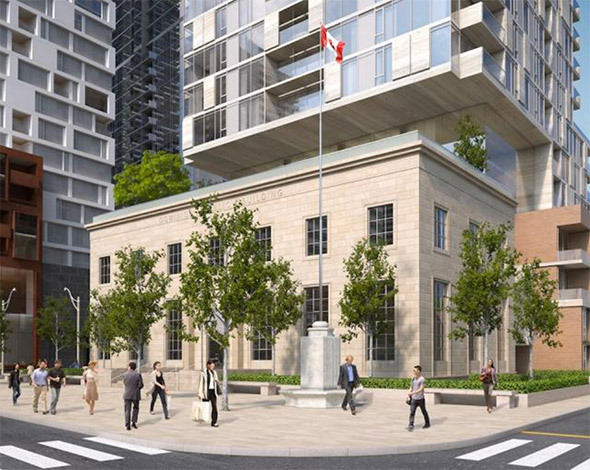 Minto, who first started the condo boom in this neighbourhood, will bring Minto30Roe to Roehampton and Yonge right beside North Toronto Collegiate, the high school that is now housed at the base of a condo tower. 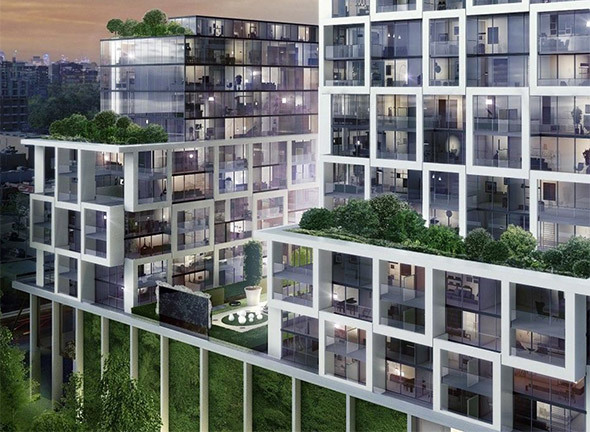 More dramatically, the Whitehaus development will relieve the neighbourhood of its old school shopping strip on the west side of Yonge north of Orchard View Boulevard. The new building promises to have 70,000 square feet of commercial space in its podium, but you can expect big retailers to lease here rather than the independents that have been pushed out as construction looms on the site. Just to north at Broadway and Yonge, Postal Station K will live on at the base of the Montgomery Square Condos, which will be set back from the street to diminish the effect of the new building swallowing up the old one. 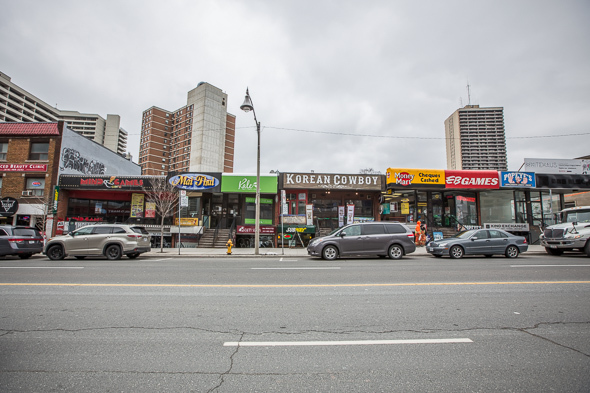 That's far from an exhaustive list of the developments around Yonge and Eglinton, but it's easy to understand how much change is in store for the neighbourhood. When the Crosstown LRT does finally arrive, you expect that the TTC lands at Eglinton Station where the bus bays once sat will also be home to a major project, one that might even include some public space. 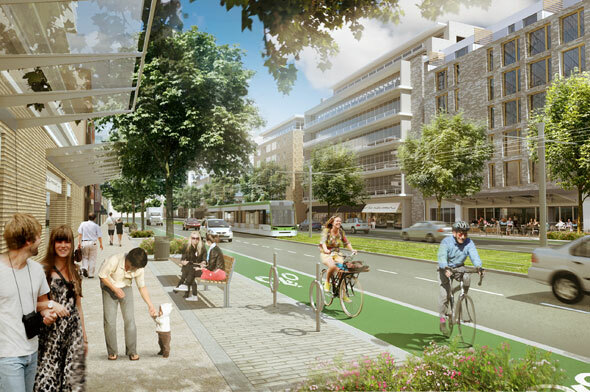 In conjunction with all of this residential development, city planners are working away at the Eglinton Connects plan, which will try to redesign the streetscape to accommodate the population surge, which promises to put many more commuters on the street. Initial plans look promising, but it will be a challenge to keep up with the all the building going on here.